The Seribu Islands literally translates to a thousand islands and it is made up of a chain of islands nearby Jakarta. They are known to offer some much-needed sunshine and relaxation away from the city smog. These islands can be reached via boat services departing from the pier in Jakarta. Ferry tickets for Sea Leader Marine can be booked conveniently through Easybook.com now! Sea Leader Marine is a sea transportation service sailing through routes heading to Seribu Islands. 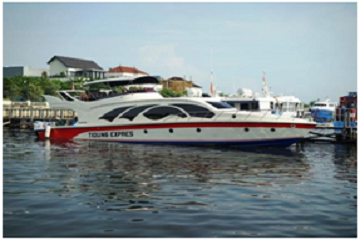 These islands are located in the DKI province of Jakarta and the service departs from the Marina Ancol Jakarta pier. Equipped with a fleet of speed boats, Sea Leader Marine is the right choice to bring you to the beaches or resorts situated on the Seribu Islands. Some of the islands or resorts covered by the Sea Marine Leader include Tidung Island, Bidadari Island, Harapan Island, Pelangi Island and a few other exotic islands. Getting to these islands is a bit of a fuss as the journey from the Marina Ancol Jakarta pier to one of the islands may take up to an estimated time of 3 hours. 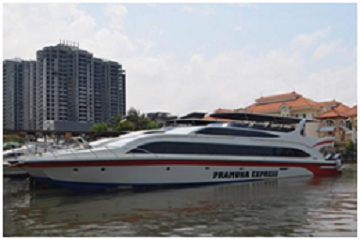 Sea Leader Marine is equipped with speed boats to help assist a fast journey and a comfortable ride. Passengers' time and patience are always appreciated, and the Sea Leader Marine is consistent at ensuring every departure to be dispatched on time. With over more than 200 guests per day, we are bold enough to guarantee your safety as we will ensure that the safety regulations are followed before every departure. The crews on board the Sea Leader Marine are always working, inspecting the boats and providing a steady routine maintenance to ensure quality as well as comfort for reliability of passengers. With highly trained SDMs, your journey to the Seribu Islands will be undoubtfully efficient as well as vibrant. Sea Leader Marine fleet is equipped with a variety of facilities including a home theatre with an LCD TV, clean, decent toilets as well as a good Wi-Fi connection. The boat also has air-conditioning systems for a more relaxed journey. 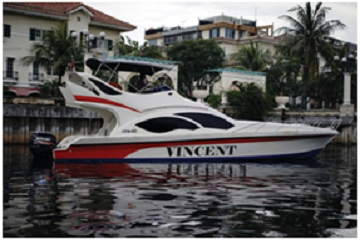 There are two distinctive types of boats in use including a fiberglass passenger boat that can fit up to 135 passengers and a fiberglass passenger cruise with a capacity of up to 30 passengers. Sea Leader Marine can furnish the best journey providing comfort, tranquility as well as speed. For ticket bookings, there will be no need to get to the ticket counters as the tickets to board the Sea Leader Marine can be booked online on Easybook.com for an easier and feasible ticket booking.